November is here in full swing and before we know it the busy holiday season will be upon us. During the busy season of holiday parties, shopping, and seasonal activities its easy to loose sight of what the season is all about. It’s a nice practice to recognize what we are thankful for and see the good in our lives. 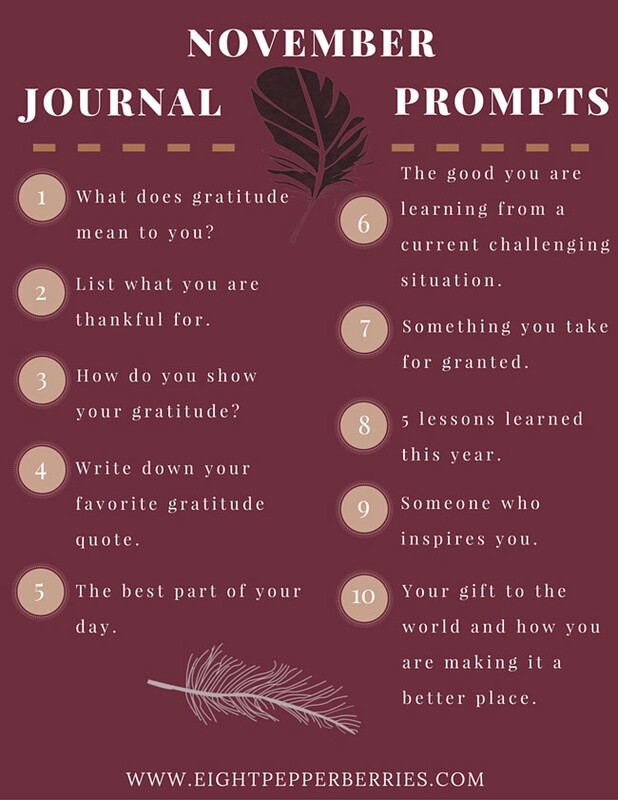 Gratitude means something different to everyone and this month I’ve put together gratitude journal prompts focusing on what you are thankful for. If you are new Eight Pepperberries, welcome! 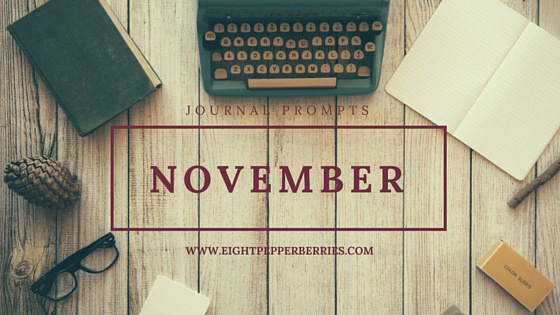 Each month I put out a new list of journal prompts that help guide you in your journal writing process. You might write about each prompt or pick and choose which ones are best for you, there’s no right or wrong way to journal. If you are new to journaling all together I recommend starting here. You can view past journal prompts by visiting the ‘Journal Prompts’ category found in the side bar. Take a moment to celebrate the blessings in your life [don’t forget to pin to Pinterest or print the PDF to easily access this months’ list]. Download + print the PDF version here.